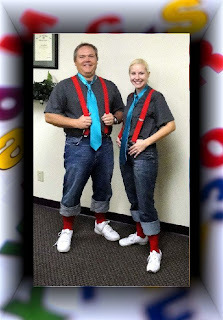 You are here: Home / Our Blog / Uncategorized / Celebrating Spirit Days at Childers Orthodontics! Celebrating Spirit Days at Childers Orthodontics! Benton, Harrisburg, and Herrin, IL orthodontist Dr. Childers enjoys creating a fun and friendly environment at our office. Spirit Weeks are one of the many ways that our team is able to make our patients’ smile when they come in for an appointment. It was recently Twin Day at our office, and within the Benton Consolidated High School District (BCHS), which is why we would like to invite everyone to join in and share your spirit. We encourage all of our patients to post their twin pictures on our Facebook page wall. Any pictures that you post on Facebook will be added to our Spirit Days 2010 Facebook album. We can’t wait to see your spirit! https://childersbraces.com/wp-content/uploads/2010/10/chess-board.jpg 504 960 DrCAdmin https://childersbraces.com/wp-content/uploads/2016/10/logo-childers-orthodontics.png DrCAdmin2010-10-14 22:40:002019-03-11 09:51:08Celebrating Spirit Days at Childers Orthodontics! October is National Orthodontic Health Month! What do you love about Childers Orthodontics?